Upland, CA Ukulele Lessons Near Me | Fun Classes. Top Teachers. Ukulele is a fairly simple instrument to learn for all ages! Have fun and just learn the basics so you can play for your friends or take it to the next level with some music theory and be a musician! Intro to chords, tablature and simple strumming patterns, singing while playing, basic music theory and reading charts, lead sheets, and more. Lesson packages include study materials. I've been teaching ukulele for 15 years. Within the first few lessons, you'll be able to tune the instrument and play easy chords and songs. I typically use Hal Leonard books, as well as various other ukulele books and songs. I love working with students of all ages and experience levels. I can't wait to meet you! I cater my lessons to the wants and needs of the individual student. Whether it be to be able to play singalongs or do more advanced material, we'll find out what your goals are and then work to achieve those goals and if you want to, we can continue to work and exceed your original goals. I'm well versed in teaching almost every musical genre there is. So let's work together in whatever style you would like to play and set upon achieving those goals. Students can expect to have a lot of fun, because the ukulele is a very fun instruments. I can teach every chord and strumming pattern common to ukulele songs, as well as songs that might not obviously be for the ukulele, like pop and rock songs! 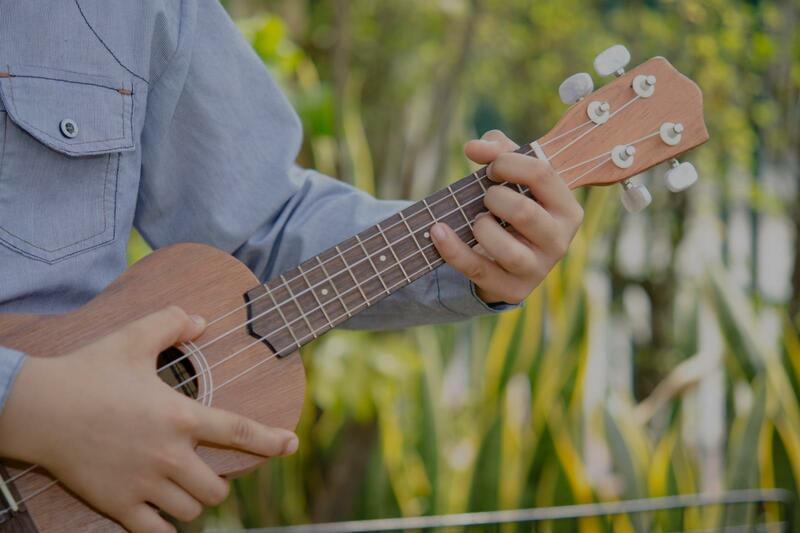 For students who want to take a more serious approach, I can teach them how to read ukulele tabs and music, and we can go through classic ukulele songs and tougher ukulele music. Hi! My name is Dominic and I'm a lifelong lover of music. I've found through experience with studios, other musicians, and professional teachers, that teaching music is what I love to do. I have a huge passion to help students stay interested and engaged, because I believe that if a student loves what they are doing, they WILL become great at it. I would love to cultivate that success! Students will be taught theory, technique, and performance skills. These skills are vital to a students growth, and will be a major focus in my lessons. They will also learn to play music that they enjoy, alongside practical repertoire. If you're looking for someone with a flexible schedule, lessons offered on and offline, and a passion for teaching new skills, consider me as your teacher! Dominic is very patient and has so much energy!! "My daughter just had her first lesson and she enjoyed it so much! t I would prefer a teacher who knows the Uke better." f instruments. I would highly recommend Chris as a teacher." d of our lesson. He made me feel at ease during the lesson and not flustered for any mistakes... he even showed me how to achieve similar notes with different finger positions for ease and comfort." "My son had a great experience and learned a lot in the first lesson." s confidence, challenged us, and we can’t wait for lesson number 2."